Adult children are often faced with an uncomfortable role reversal when it comes to ensuring aging or elderly parents have the appropriate estate plans in place to protect their health and assets. This emotional process can be complicated by the fact that special care must be taken when attempting to assist parents making estate planning decisions because serious ethical landmines exist that can trap the unwary. Although hiring a competent and trustworthy attorney is always the first step toward assuring planning will go smoothly, it pays to make the potential client aware of the process before the engagement begins. Gaining a better understanding of what an attorney can do to help and, conversely, defining the caregivers' role in the process will facilitate everyone being able to make the best possible decisions for the future of a loved one. This article is designed to identify three major areas of ethical concerns that every attorney wants adult caregivers to know prior to coming into the office for a consultation. An adult child calls her attorney and requests that the attorney prepare a power of attorney for her mother who is scheduled for surgery the next week. The adult child says she will bring her mother into the office tomorrow for a consultation. The adult child tells the attorney she will pay for the representation. Who exactly is the client here? In North Carolina, an attorney has an ethical duty to avoid a conflict of interest and that means being able to identify the client immediately (See N.C. Rules of Professional Conduct 1.6, 1.8 and 1.2(d)-Comment 4). The attorney owes a duty of confidentiality to his or her client that cannot be breached by revealing private information to even well-meaning and involved family members. Under the scenario above, even though the child made the appointment and is bringing her mother into the attorney's office, the mother is the attorney's client. Under typical circumstances, this will mean that the attorney will meet with the mother behind closed doors to ascertain her wishes and desires in regard to executing a power of attorney. The child may pay for the representation, but not without the mother's consent. It is also important to note that the child who finances the meeting will not be allowed to influence of direct the attorney's professional judgment and actions taken on the mother's behalf. Conflicts such as these may be waived under certain circumstances as long as informed consent in writing is obtained from the client. The elderly parent may wish to have the children involved in the legal decision making, but the attorney's first ethical obligation is to protect the client's best interests and keeping matters confidential is an ethical cornerstone. 2. Does Mom or Dad have Capacity to Make Important Decisions? A local banker has a father who has been starting to forget things lately. He can't remember where he put his keys and sometimes he doesn't appear to know his own son's name. Banker realizes that his father has not gotten his affairs in order after the death of his mother and that several legal documents need to be revised. Banker contacts his attorney to set up a meeting with his father and tells the attorney over the phone that sometimes his father "forgets things." Does Banker's father have the requisite legal capacity to make his own estate planning arrangements at this time? Capacity refers to someone's ability to make a rational decision based upon all relevant facts and considerations. It often surprises the layperson that under the law in North Carolina, different levels of capacity are required for certain legal acts. Not all capacity is deemed the same in the eyes of the law. For example, the capacity required to bind one to a contract is considerably higher than the capacity necessary to create a Last Will and Testament. Attorneys are strongly advised to proceed with caution when a client appears with clear or suspected diminished capacity. While attorneys are not called to be physicians, those representing multiple generations should be knowledgeable on the mental and physical conditions affecting older clients and should be able to recognize when further assistance is needed. Ethically, an attorney is not required to take all actions requested by a person of diminished capacity, and in some instances will have an ethical obligation not to do so (See for example, N.C. Rules of Professional Conduct 3.1 and 1.14). Some steps can be taken to increase a client's capacity, such as meeting in the morning when a client is more refreshed or agreeing to an at-home meeting with the client to reduce stress and anxiety. In a case where the client is determined to be incapacitated, the attorney can direct family members on potentially seeking guardianship through an incompetency proceeding (See N.C. Rules of Professional Conduct 1.14, 1.16 and Comment 6). Under the scenario above, one meeting with the father should inform the attorney as to his capacity to make legal decisions. 3. When is Joint Representation Appropriate? Bob and Cindy have been married for 35 years. However their children recently reminded them that they have not executed wills or any other estate planning documents. Bob and Cindy contact a local attorney and ask if they can be represented jointly as husband and wife to plan their estate together for the benefit of their children. They were high school sweethearts and cannot imagine doing something apart from one another. Can an attorney legally represent the interests of both Bob and Cindy at the same time? Yes. An attorney is permitted to represent both a husband and a wife in the preparation of estate planning documents. While joint representation of clients is primarily disfavored in other areas of practice, such as civil litigation, joint representation in the estate planning context is fairly common and widely accepted. As with any form of representation of a client, however, both parties in a joint representation agreement must be aware that the attorney is representing the other's interests to the fullest extent. In addition, clients seeking joint representation should be aware that the attorney cannot make changes to the estate plan based on input from only one client and not the other- especially in such cases where a requested change would adversely affect the interests of the other party. That would be a violation of the ethics standards for attorneys. So Bob and Cindy may create an estate planning package together with the help of a single attorney, but they must be fully aware that neither of them can request that the attorney change the plans without the knowledge of the other. 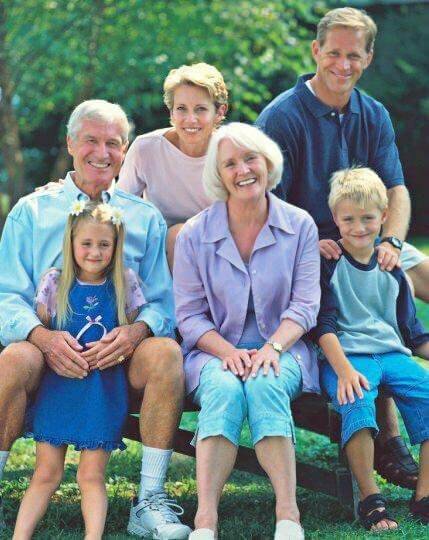 Although planning for an aging or elderly parent's future can be emotionally challenging for the children, an attorney who helps them keep these ethical considerations at the forefront of estate planning activities will go a long way toward ensuring long-term success. 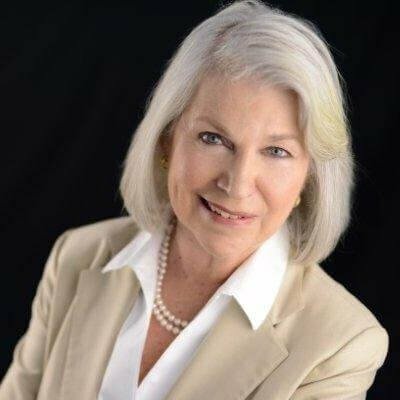 Nancy Black Norelli is the principal at Norelli Law in Charlotte, a boutique law firm that specializes in elder law issues as well as complex estate planning and fiduciary litigation. Judge Norelli is a former District Court Judge with more than 30 years of legal experience, and she sits on the Ethics Committee of the North Carolina State Bar. Judge Norelli has been recognized as one of North Carolinas top-rated lawyers and one of the top women attorneys in America. Judge Norelli is a frequent lecturer on the topic of estate planning and ethics. She will be speaking on ethics at the Sterling Estate Planning Update seminar in Charlotte.